Was this Pai's plan all along? SpaceX wants to build an Internet service provider using satellites, and Federal Communications Chairman Ajit Pai is all for it. This coming Saturday, the aerospace company is expected to launch the first two parts of a wider plan to send 4,235 satellites into orbit. The satellites could potentially provide broadband connectivity for large swaths of the globe. While this initial launch has already been approved by the FCC, Pai has now proposed that the government agency green-light the whole of SpaceX’s satellite ISP plan. “Satellite technology can help reach Americans who live in rural or hard-to-serve places where fiber optic cables and cell towers do not reach,” Pai said in a statement. To those paying attention to the net neutrality battle that unraveled late in 2017, the fact that Pai is pushing for this “constellation” of Internet-provide satellites might seem odd. After all, he led the push against net neutrality, and the dismantling of it has given companies like Comcast and Verizon the power to control the speeds of which web-surfers can access certain types of content. Many people were accusing Pai of favoring the interests of large corporations over that of the public or even that of potential competitors, but his endorsement of SpaceX’s plan suggests otherwise. An array of Internet-beaming satellites would allow people across the globe to gain access to the web without the need of popular ISPs. This might in turn act as an incentive for Internet companies to provide better services than the potential satellite ISPs of the future. 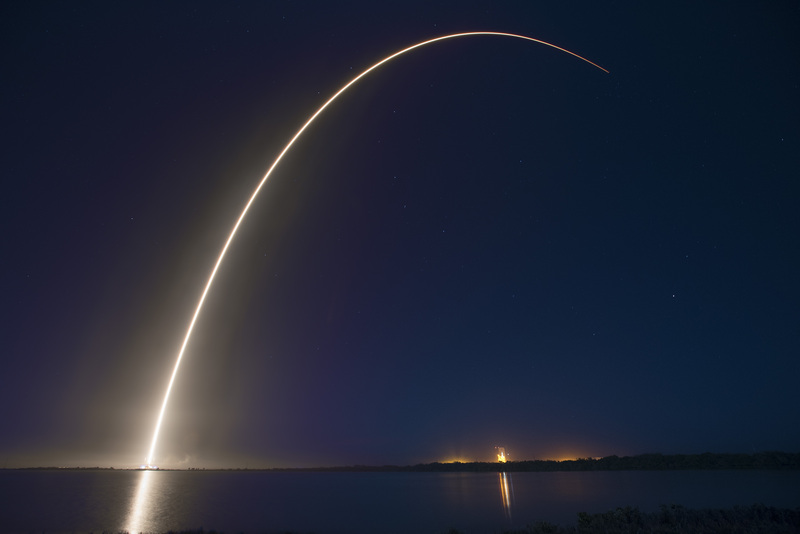 SpaceX has been launching communications satellites for its clients, but now the company aims to launch its own satellites to provide globe-spanning internet coverage. All of this is still speculative, but if SpaceX’s future satellite system does cause ISPs to improve their services, that would actually be a point in favor of the free market argument that Pai has made all along. Maybe it turns out you just have to leave the planet to have a shot at beating the big telecom companies.